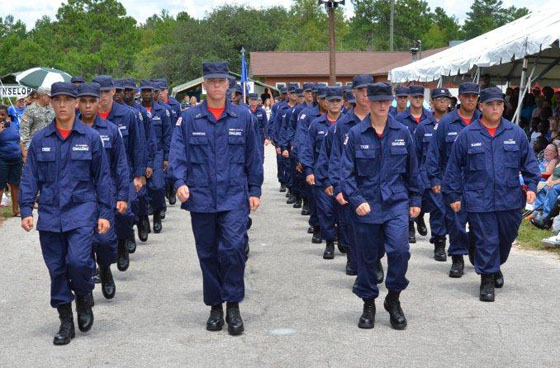 WHAT: The Florida Youth ChalleNGe Academy, a program designed to lead, train and mentor at-risk youth, will graduate 173 teens from its 21st class during a military ceremony. WHEN: Saturday, Dec. 10 at noon. Cadets march during a drill at Camp Blanding Joint Training Center, Fla. Guest speaker for Saturday’s event is David Wilkins, Secretary of the Florida Department of Children and Families. Florida’s Youth ChalleNGe Academy is operated by the Florida Department of Military Affairs and the Florida National Guard. Designed on a military model, 16- to 19-year-old high school dropouts encounter a rigorous five-and-a-half month residential phase. The Academy is geared toward promoting adult responsibilities, values and basic lifestyle changes. Each youth experiences a demanding, highly regimented, motivational climate covering the components of academic excellence, community service, job skills, leadership and physical fitness. Since Florida’s program began in 2001, 2,728 cadets from 57 counties have graduated from the residential phase of the program. Upon graduation from the in-residence phase, each student is assigned a mentor who provides personal guidance and support. In order to successfully complete the program, all students are required to either pursue higher education or gain full-time employment. For additional information contact the academy at (904) 682-4000 or visit www.ngycp.org/FL. Graduating cadets are from the following counties: Alachua (3); Baker (2); Bradford (1); Brevard (2); Broward (8); Charlotte (1); Clay (20); Columbia (1); Dade (4); Dixie (1); Duval (57); Escambia (2); Flagler (1); Gadsden (1); Hernando (1); Hillsborough (2); Jefferson (1); Lake (3); Monroe (2); Nassau (1); Okaloosa (2); Orange (13); Osceola (1); Palm Beach (6); Pasco (6); Polk (2); Putnam (1); Sarasota (1); Seminole (3); St. Johns (6); Sumter (2); Union (1); and Volusia (15).